In this module, we will be discussing the while loop in python. As we have discussed before in this python tutorial that in this programming language there are basically two different types of primitive loop commands. And those two different types of primitive loop commands are mentioned below. In this above example if you forget to increment i then this loop will keep continuing forever so you should always remember to increment i in an example such as the one mentioned above. You should also remember that relevant values are required to be made ready in the while loop. Like in the example mentioned above we needed to define the indexing variable which was i. We set that particular indexing variable to 1 in the above-mentioned example. 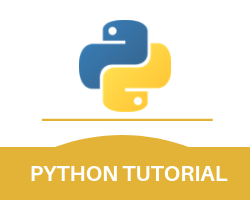 There are also many other python while loop exercises mentioned in this tutorial. With this, we finish our python while loop part of this entire python tutorial.